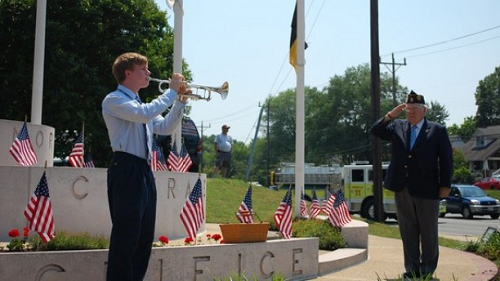 Remember your loved ones at the College Park Memorial Day Observance. This year’s keynote speaker will be Lt. Col. James Zumwalt, retired Marine infantry officer and veteran of the Vietnam War, the 1989 Panama Intervention and Desert Storm. The Veterans Memorial Improvement Committee invites residents of College Park and the surrounding communities to bring pictures and mementos of their loved ones who served to be displayed during the observance. May 27, 2013 at 11 a.m.
Rt. 1 (Baltimore Ave.) and Greenbelt Rd.